Young or old, we Americans love our sports – not just watching them, but also participating in them. However, some sports – whether football, golf, or any sport in between – are more physical than others, which means they pose a greater risk of injury. A sprain involves the stretching or tearing of a ligament – the fibrous tissue connecting bones and joints, while a strain involves the stretching or tearing of a muscle or tissue that connects muscle to bone. Sprained ankles, bicep tendonitis, and strained hamstring and groin muscles are common in sports with running, jumping, using the shoulders, or stopping and going abruptly. The way to avoid frequent sprains and strains is to strengthen your muscles and practice a good flexibility regimen that includes both muscle-lengthening and muscle-shortening exercises. This type of injury often occurs among runners or athletes who do a lot of running and jumping. The Achilles tendon at the back of the ankle gets inflamed and painful from overuse. It can also tear. Again, strengthening and flexibility exercises can help prevent acute Achilles tendonitis. In particular, exercising your hip flexor and calf muscles can help strengthen the Achilles tendon so that it moves better. Also, proper running shoes are important because they subject your body to less stress. This is a pain on the inside of the shin caused by inflammation of the muscle around the shinbone, or tibia. It’s common among runners. Wearing the proper shoes and stretching your calves before and after running or activity can help you avoid it. Medically known as epicondylitis, this kind of injury typically occurs from a poor swing, causing pain on the inside and outside of the elbow. Strengthening your forearm muscles and rotator cuff, as well as learning the proper way to follow through with your swing, can help prevent this painful condition. Repetitive motions, such as overhead serving in tennis and throwing or pitching in baseball, can cause tendonitis and tears in the muscles and tendons that help move and stabilize the shoulder. If your upper back and core muscles aren’t strong enough, they may be overcompensating, which can lead to a tear or chronic pain. Exercises that strengthen these muscles, as well as stretches for your chest muscles after games, can help prevent this type of sports injury. Rigorous contact sports like tackle football can easily lead to a broken bone. Fracture injuries are hard to avoid, but you can make your bones stronger by eating a proper diet rich in vitamin D and calcium. Weight training can also be effective at strengthening your bones and muscles, allowing you to absorb trauma more easily. Receiving a blow to the head – which is more likely to occur with sports like soccer, football, hockey, or boxing – can cause traumatic brain injury. The simplest way to avoid a concussion is by wearing the right gear, notably a helmet. Also, strengthening your neck and upper back muscles can help control the displacement of your head when taking the force of a blow, preventing whiplash. Running, golfing, and playing tennis can all result in mild to severe back pain. Strengthening the multifidus muscles, those surrounding the vertebrae in your back, can help you avoid these aches and pains. At Personalized Orthopedics of the Palm Beaches, our staff is equipped with a wealth of knowledge and experience in general orthopedics, sports medicine, and more. 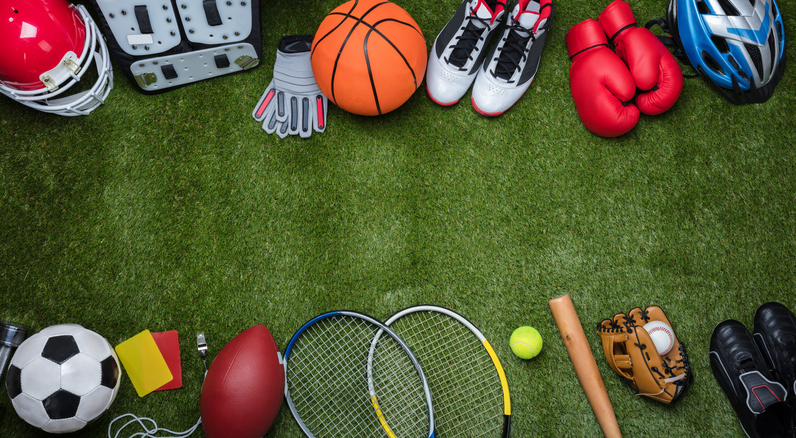 If you are suffering from a sports-related injury, Personalized Orthopedics offers you many on-site services for your convenience – including physical therapy. Call Personalized Orthopedics of the Palm Beaches today at (561) 733-5888 to schedule an appointment with one of our highly qualified physicians or physical therapists, or complete our easy-to-use online appointment request form now. Let us help you get back in the game fast.